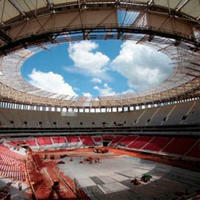 30.04.2013 Sao Paulo: Allianz buys fifth stadium name, what will it be? 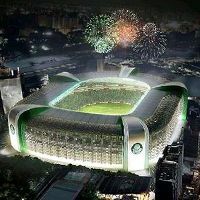 Fans of famous club Palmeiras have until 20 May to suggest the name that will appear on their new stadium for the next 20 years. 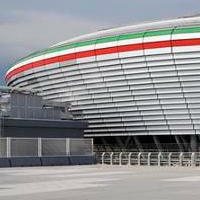 Though temporarily the ground was known as Arena Palestra Italia (honouring the predecessor), it’s going to be Allianz… something. It’s been quite a while since we last visited Poland. 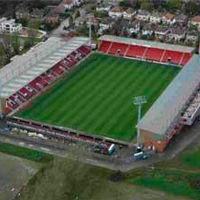 To change it, tonight we add three small stadia. 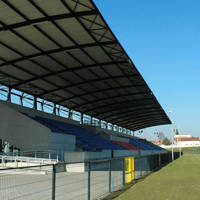 One in Aleksandrów Łódzki was rebuilt last year, while the one in Opalenica hosted Portugal’s training sessions before and during Euro 2012. Companies from all over Europe will be able to take part in open tender. 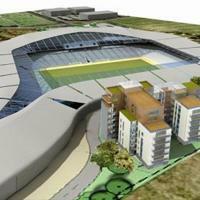 Their aim will be to open a new 10,000-capacity stadium ahead of 2015/16 season and keep it within a tight budget. Wochenspiegel Sachsen report. 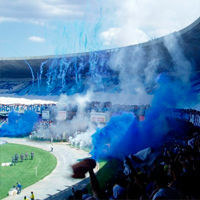 Though fans were very entertained by the event, evacuation had to be carried out at sections below the giant screen, which caught fire. 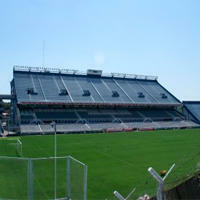 With good reaction of the firefighters game against DC United could eventually take place. This doesn’t mean it’s already redeveloped. On the contrary, the impromptu friendly game proves that some work still needs to be done. 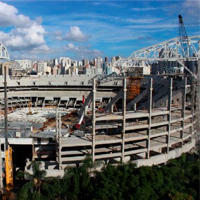 But Brazil’s largest stadium will see its first game since 2010 anyhow. 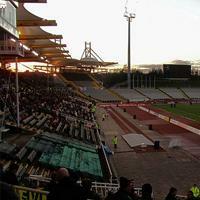 27.04.2013 Italy: Domestic cup final in… Brazil?! This time it’s not about marketing opportunities, but safety concerns and lack of consensus between local organizers. It turns out authorities aren’t sure how to secure Coppa Italia final between Lazio and Roma after April riots. Il Tempo report. 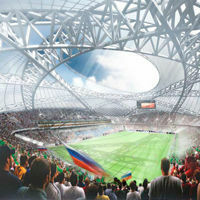 27.04.2013 New York: Details of new football-specific stadium in June? 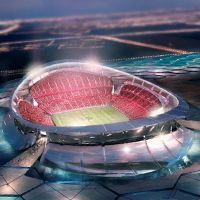 We still have to wait up to 6 weeks for details about future MLS franchise, set to be located in Flushing Meadows, Queens. 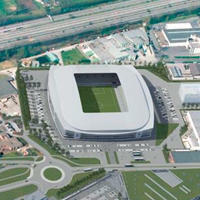 New York Post informs that Manchester City owners may be the ones to grab tenancy of the $300-million planned stadium. 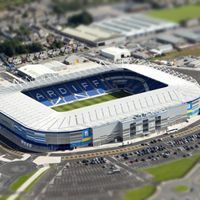 Having advanced to the Premier League a few days back, Cardiff City begins work on stadium expansion. Not for the upcoming season, but for 2014/15. 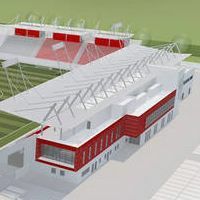 Expected size should reach 35,000 then, WalesOnline.co.uk informs. 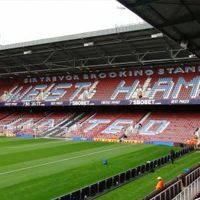 Once again West Ham United are trying to convince everyone that their relocation plan only has good sides. 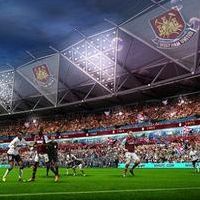 Instead of thorough consultation the club manipulated data to make the Olympic Stadium move look better. Obviously, fans noticed it instantly and some of them feel disrespected. 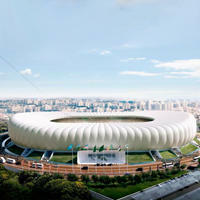 24.04.2013 Romania: Chinese investor will make Craiova's dream come true? 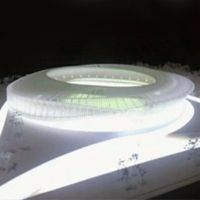 Yesterday morning saw an unexpected turn in ongoing debate over the future of Ferenc Puskas Stadium. 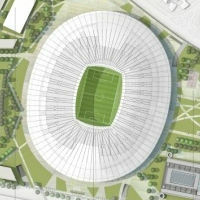 The outdated structure is to be retained, but new stadium will be built inside it. This comes after two different options were officially considered. 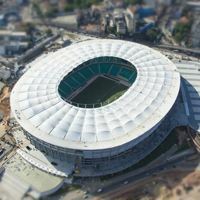 It's supposed to stand out among other 2018 World Cup venues thanks to a massive dome reaching 80 meters (height) and resembling a cut diamond. 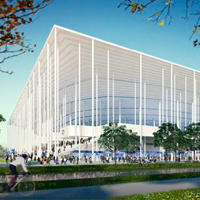 With its size it's expected to become a new landmark for this city. 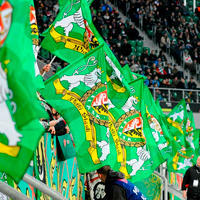 23.04.2013 Cologne: 1. 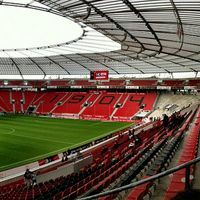 FC Köln to take over RheinEnergie Stadion? 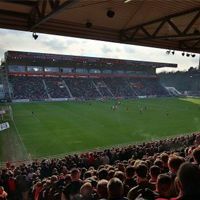 They may remain unsure of promotion back to the Bundesliga, but the club still wants to take over at RheinEnergie Stadion, possibly forcing the municipal operator to dissolve. Kölner Stadt-Anzeiger information. 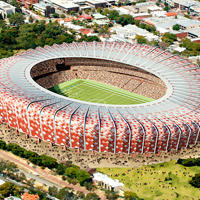 A rare situation preceded Australian football game on Saturday, when light bulb exploded, showering fans with glass. 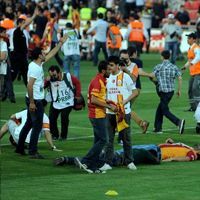 Young boy was injured and other fans relocated to different sections. 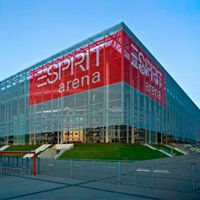 Naming rights holders Esprit terminated the deal unilaterally, arguing the ESPRIT Arena operators didn't fulfil their side of the contract. Düsseldorf authorities demand to be paid anyhow. DerWesten.de report. 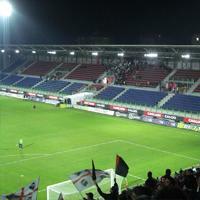 21.04.2013 Bucharest: Dinamo and Rapid stadiums need to be closed? 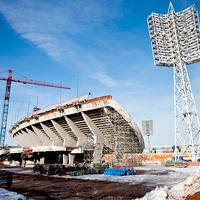 National football federation president claims many stadia across Romania require closing and thorough renovations. 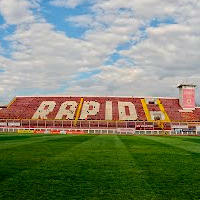 He names Dinamo and Rapid as such cases, though not hearing approval from Dinamo, as Mediafax informs. 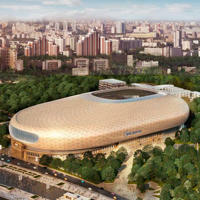 Three very decent stadia from South Korea join our database today. 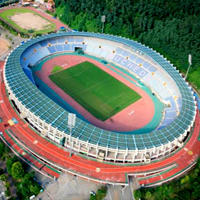 Check especially Bucheon, where one of the most heart-warming supporter stories took place. 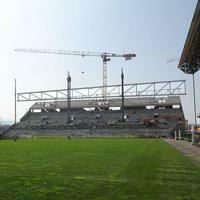 Fans started rebuilding their club after owner ran away and they just advanced to the 2nd league. 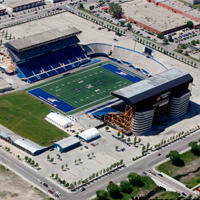 As Blue Bombers move to their new Investors Group Field, the outdated Canad Inns Stadium is being prepared for demolition. Bad new for people enjoying buildings blown up – it will be deconstructed piece by piece. Winnipeg Free Press report. 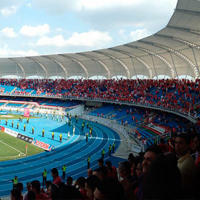 18.04.2013 Costa Rica: National team want to leave national stadium? 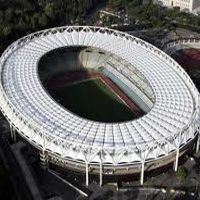 In an unexpected move the Costa Rican football federation asks for prestigious game against the USA to be played at an older and smaller stadium. 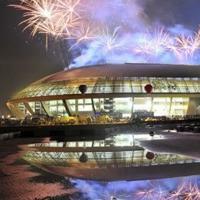 Does this mean they don't want to use their newly-opened national stadium any more? These brands are well known worldwide, with numerous stunning projects in their portfolios. 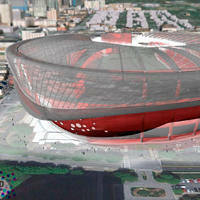 Now they were chosen as finalists for the new Atlanta Falcons stadium. We should know the winner within weeks. Both were opened while each city celebrated 400 years of existence. 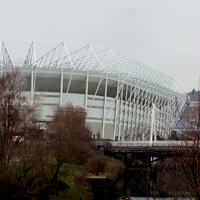 Each of them is still the most important football venue locally and both host great and electric derbies! Meet two cauldrons from Colombia! 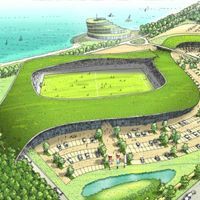 Just as promised, Welsh Premier League side Swansea City filed their planning application to increase capacity of their Liberty Stadium by some 11,000 seats within 5 years. And they presented very first renderring, too! 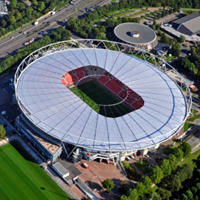 Disturbing cracks in the concrete structure of Euro 2012 host venue were found. Quite shockingly, municipal and football bodies attempted to hide the problem from the public. Architects blame contractors for not installing crucial supports. 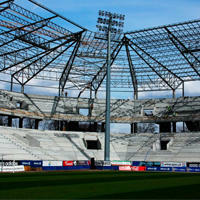 Part of the west stand was in danger of collapsing. Reading memories of survivors still leaves us speechless, just like browsing photos and videos. The more hard it is to believe that it wasn't until last year that people affected by this disaster heard an official apologies. Indicating people responsible for the extent of the tragedy and following manipulation campaign is yet to happen. 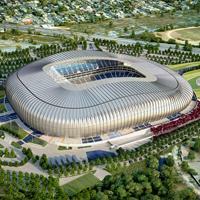 This will be one of the most original Euro 2016 stadiums. 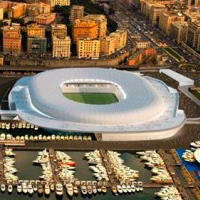 Designed by famous Swiss practice Herzog & de Meuron, the ground received a working name of Stade Atlantique. StadiumDB.com proudly presents first photos from the construction site. 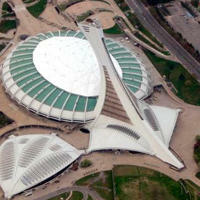 14.04.2013 Montreal: 1,240 rips in Olympic Stadium roof, time to redesign it? 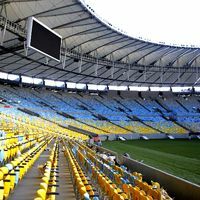 Each year more and more flaws are found at the Olympic Stadium in Montreal. Mayor agrees with his advisers that the roof needs to be thought through again. Perhaps a retractable structure will replace it. 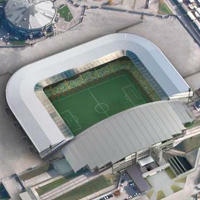 There 3 months left until long awaited new stadium in Ghent is inaugurated. But main access route won't be ready until early 2014. The club are already trying to figure out ways to minimise traffic problems. 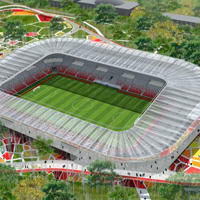 Preparatory works are to start in June, while actual construction should begin in late 2014, at the latest. 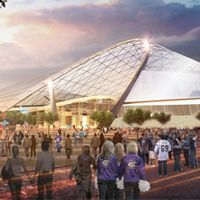 Three large consortia expressed their interest and are expected to submit official bids in November. 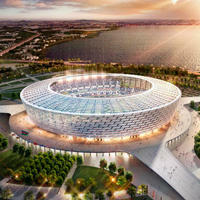 Yesterday numerous officials visited the site of future Nagyerdei Stadion to take part in cornerstone mounting ceremony. Regardless of the visit, construction progress is very impressive. 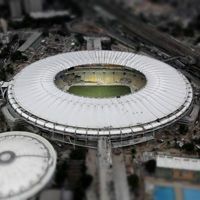 Computer analysis proved that host team allowed too many people inside, selling out beyond capacity. 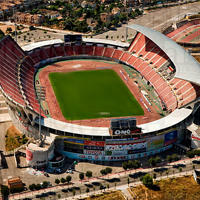 For compromising viewer comfort and safety Real Mallorca was given a €60,000 fine. 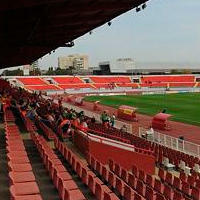 Under current regulations Serbia's third power would only be allowed to play their first qualifying game at home. 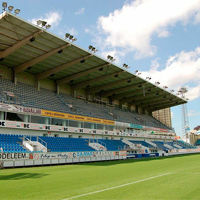 Should there be no improvement, the club prefers to drop their European campaign rather than relocate. 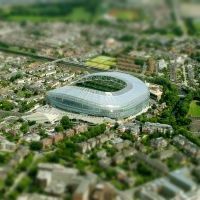 A young Austrian couple travelled for the 2014 World Cup qualifier to Dublin and got mugged one day before the game. 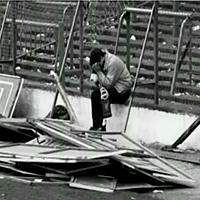 They lost money, papers and Aviva Stadium tickets. But one phone call away they found not only help, but a piece of adventure! 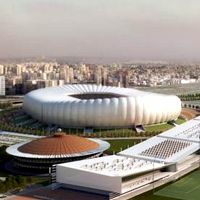 10.04.2013 Serbia: National stadium outside of Belgrade? 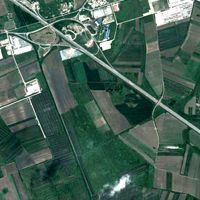 Sounds almost absurd, but with the city’s stiff opposition to giving land for free, relocating to the outskirts may be the only viable option for Serbian FA (FSS). Or at least those are the hopes of Pećinci, a modest commune west of the capital. 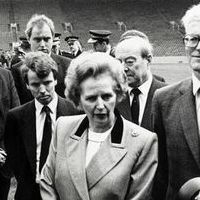 Football governing bodies decided not to ordain a minute’s silence after the passing of Margaret Thatcher. Imposing it might cause harm to the good intentions, as Thatcher was extremely controversial. 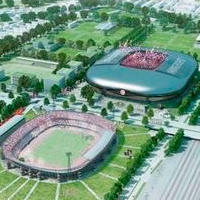 10.04.2013 Netherlands: New stadium for Helmond or not? The saga has been going on for a decade already, but still no final resolution is known. 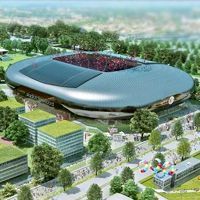 The city outside of Eindhoven is still deadlocked between enthusiasts and critics of the proposed venue. This was hardly the right way to handle such a sensitive matter. Hammers sent letters to their disabled supporters that they’ll have to pay a lot more for 2013/14 season tickets. Should prices stay at current level (and reductions aren’t common), this would mean 107% more to pay. After ‘feedback’ the club dropped its plans. A Daily Mail report. 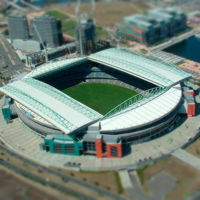 They’re both able to hold 20,000 people, but have completely different histories. 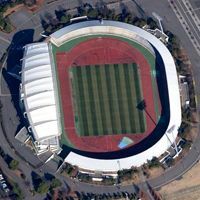 The one in Kashiwa was hated by fans from the start, while the one in Okayama is going through a revival since its redesign in 2003. 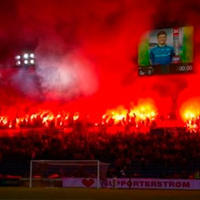 08.04.2013 Berlin: Should Hertha abandon Olympiastadion? 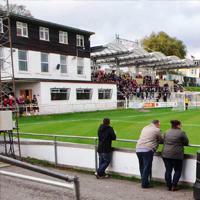 Though the club draws large crowds regularly, its financially unstable. 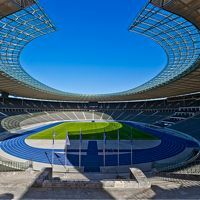 Local tabloid BZ sees the reason in Olympiastadion, which may be considered a disadvantage in competing with Bundesliga’s superpowers. 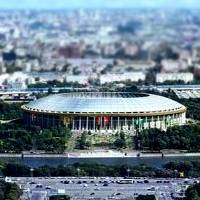 Even though RIA Novosti suggests a lot of the current stadium will be retained, the redevelopment ahead of 2018 World Cup won’t be cheap. 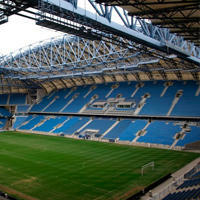 Only the ‘outrageous’ stadium in Saint Petersburg will be more expensive. It’s not entirely about the new legislation, but about the way of executing it. 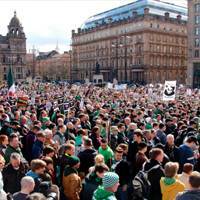 Yesterday 3,000 people protested in Glasgow against the ways in which authorities try to eradicate sectarianism and bigotry from stadiums. 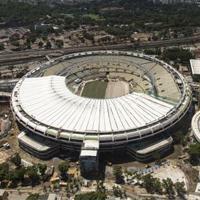 06.04.2013 Brazil: Maracanã in need of redevelopment after… redevelopment? 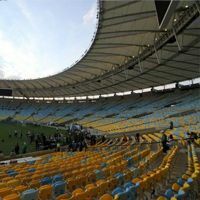 Despite almost being ready for the 2013 Confederations Cup and 2014 World Cup, Brazil’s most famous stadium failed to meet requirements of the IOC, ahead of 2016 Olympics. 06.04.2013 Fandom: Meet the world’s largest flag. Or a few of them, actually! 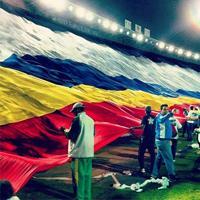 On Wednesday Colombian side Millonarios had fans reveal a flag that has hardly any match ever. They claim it’s the biggest, but some would definitely argue. Agree or not, all of the record-candidates are stunning! Weighing over 200 tons, the massive truss that will support future roof is now hanging over stands. Hanging quite literally, as it’s hooked on two cables above the future 8,000-strong southern kop stand. 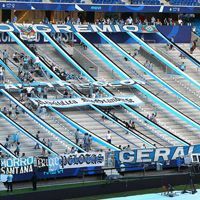 They already tried relocating away supporters to make their influence lower, but police blocked it. 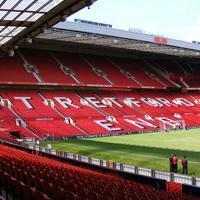 Now acoustics specialists are analyzing, what might improve the sound volume at Old Trafford – Manchester Evening News reports. 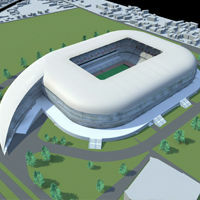 Though it’s got Monterrey in its name and CF Monterrey are to play here, the new stadium is growing in neighbouring Guadalupe, just outside of Monterrey. 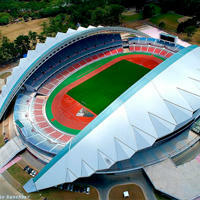 The new 50,000-seater is Mexico’s largest ongoing construction, so don’t forget to take a look! And are homeless for the time being. 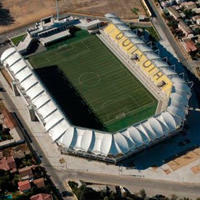 The club announced dropping Stadio Is Arenas after having used it for barely a year. It’s not clear where they will find a safe haven with two best options dropped. 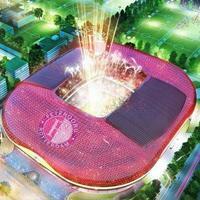 03.04.2013 Netherlands: Should Amsterdam fear the new Feyenoord stadium? 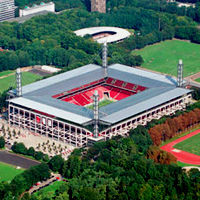 If the club succeeds and leaves De Kuip for good, it seems the stadium at biggest risk will be Amsterdam ArenA. The venue may lose its top stars to the bigger and more modern competition. Maximum capacity for domestic games won’t change, but that required by UEFA (without standing areas) is expected to increase. 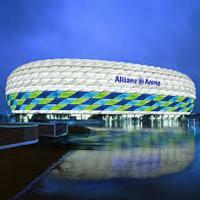 Instead of under 68,000, Allianz Arena should soon have 71,000 seats, according to NWZ Online. 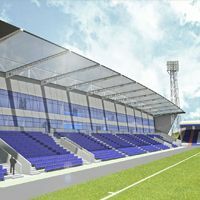 03.04.2013 New stadiums: Fleetwood, Grantham and Lewes! All deserve a moment of your time. Partly for the great photos (remember – we try and provide as big as 1,600 pixels when possible!) , but also for the history behind them and current looks. Really nice. 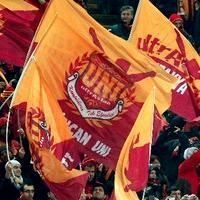 02.04.2013 Madrid: Galatasaray fans to conquer another city? Some were saying Galatasaray may be followed by 10,000 people to Madrid. In late March it was already 15,000. 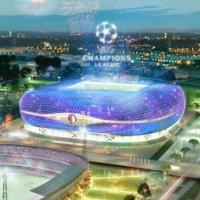 Tomorrow even 25,000 Turkish fans are expected to invade Madrid. Special forces are prepared in the streets. How will it look inside Benrabeu? 02.04.2013 Indonesia: Workers caused Games postponement! Organisers of Islamic Solidarity Games announced today, that the tournament will be held in October instead of June. 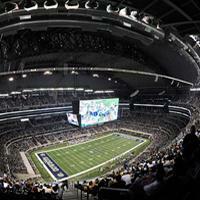 The reason is subcontractors blocking the venue for unpaid contracts. 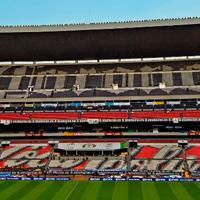 It’s still the world’s largest football stadium with all places seated, but Estadio Azteca has just lost a few thousand of its capacity. That’s how the latest sponsoring deal with the country’s top beer brand works.